I’ve got the day off today, Yippee! That means playtime for me. You may remember that my friend Lin sent me a parcel for Christmas which contained a novel type of weaving loom. At last I’ve had time to play with it this morning. It came with very clear photo instructions with written details in many languages. 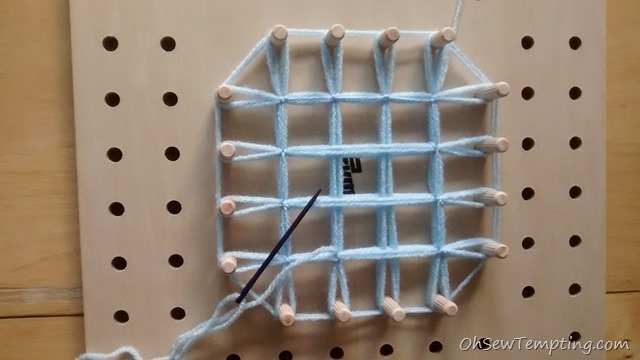 The idea is to wind the yarn around and around the pegs and then use the bendy needle to make some special double knots at the crossover positions. 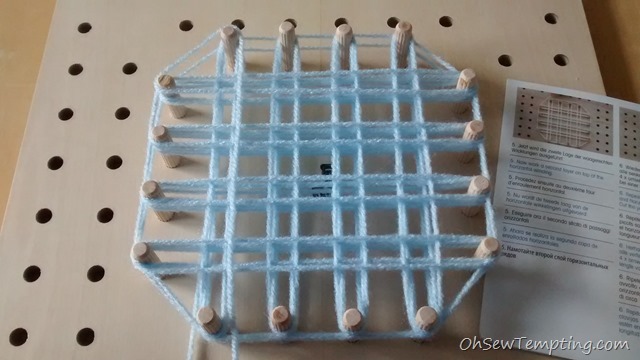 Once everything is secured, the weaving can be removed from the loom, and after some simple crochet around the edge, the Granny style square is done. The winding took less than five minutes to do, the stitching probably about ten minutes and the crochet took me forever because I wasn’t too sure where to crochet. 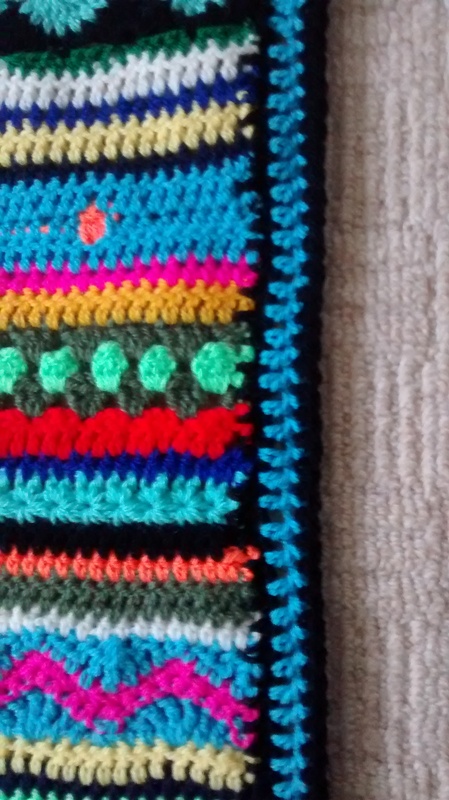 Anyway, as you can see, I managed in the end and future squares will be a lot quicker to make. 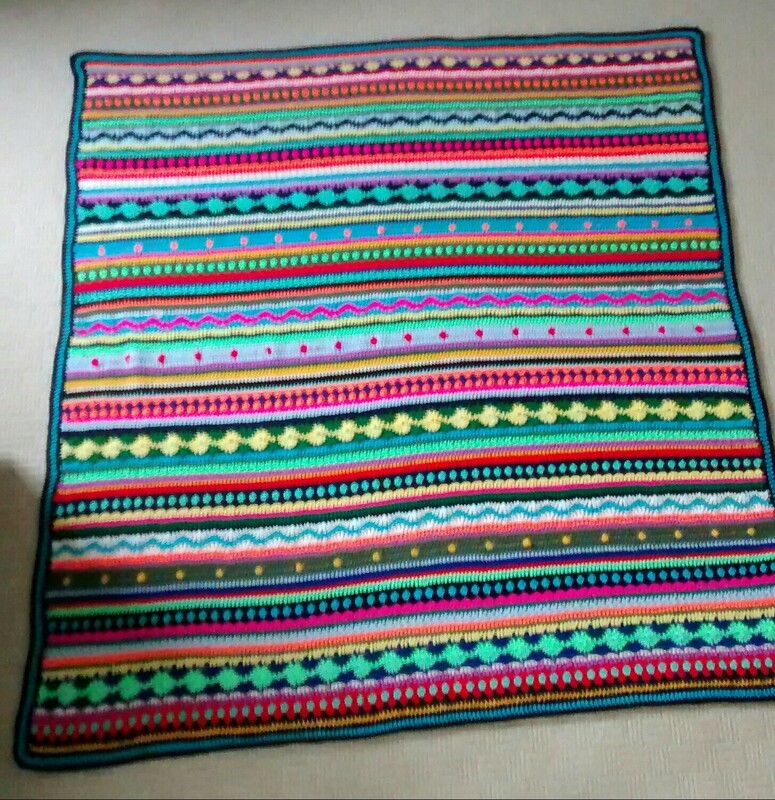 I used scrap wool for this trial square and I think, next time, I’ll use more chunky yarn to plump it up a bit. 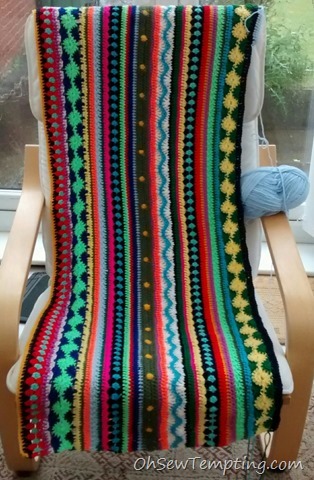 I can feel a new scarf coming on. The position of the pegs can be changed to make larger designs. 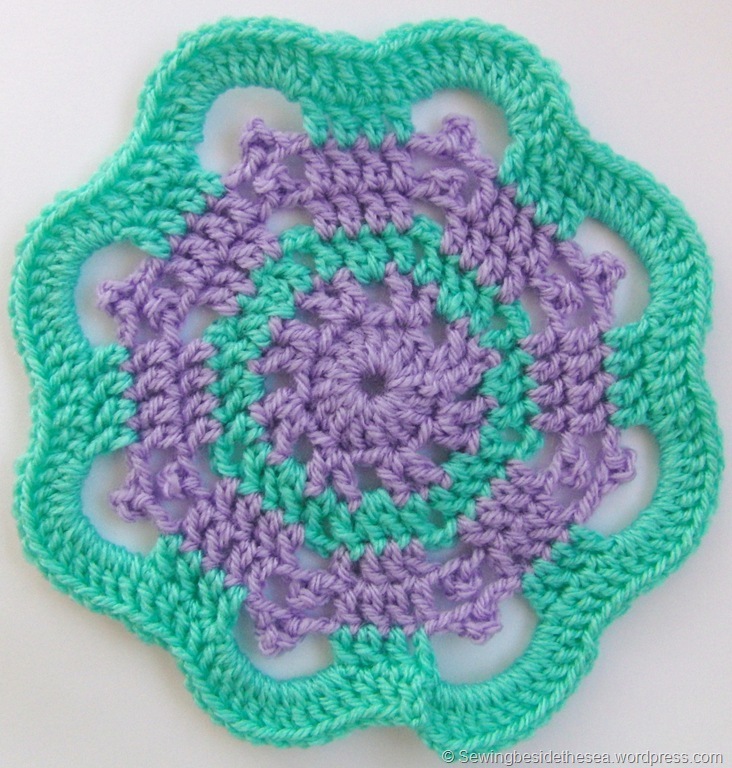 My square is about 5 inches across. I hope you are all getting time to craft this week. We have wonderful blue skies and bright sunshine here today. However, yesterday was dull, wet and windy and not the kind of day to spend outdoors. In fact, it was so dark in the house, I needed something to brighten my spirits. 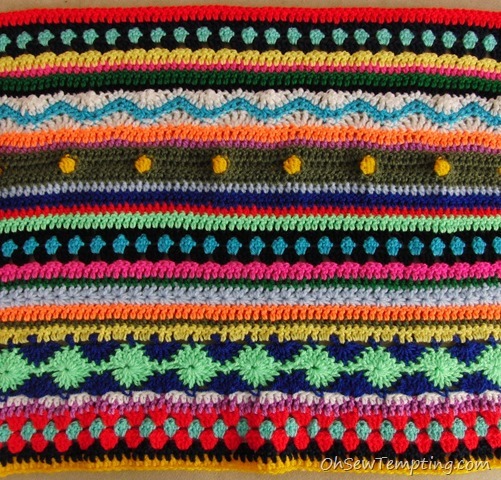 You may remember, way back in January, that I started to use up all of the scraps I had left over from this Double Vision blanket. 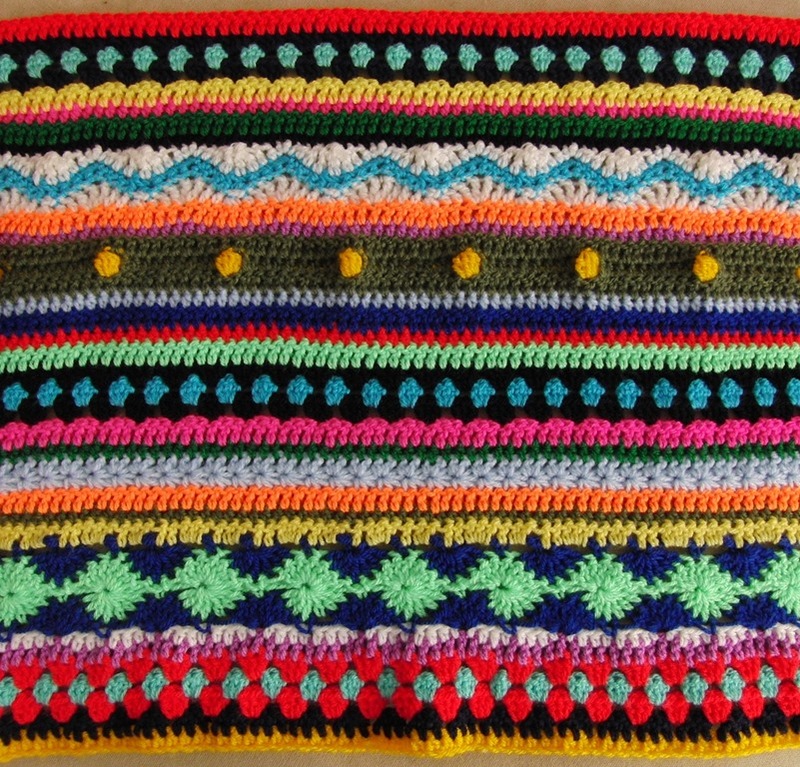 The original design is by Woolly Thoughts and you can find the free pattern on Ravelry here, though I didn’t stick to it rigidly. Anyway, there was a lot of lovely scraps left from this project and, you know me, I don’t like having scraps cluttering up my drawers. I much prefer to use them up before buying more crafting supplies. 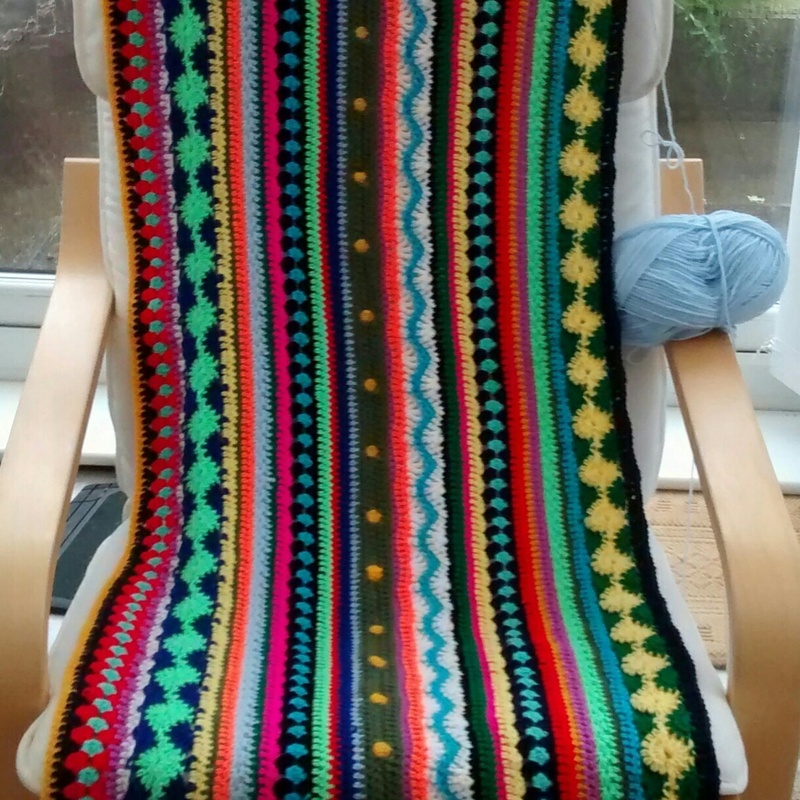 The As-We-Go Stripey Blanket from Not Your Average Crochet caught my eye. 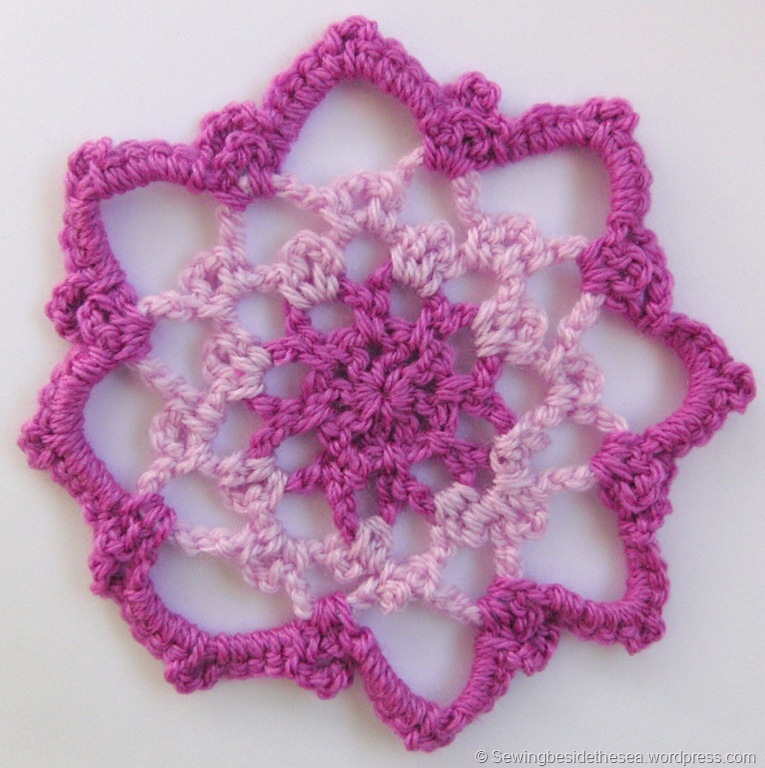 It’s the perfect scrappy project. This is where I got up to in January…..
…..and here it is now. I hope you all have a wonderful day today. It’s a Bank Holiday Monday here so I can play all day if I want to! I thought you might like to see the start of my new project. 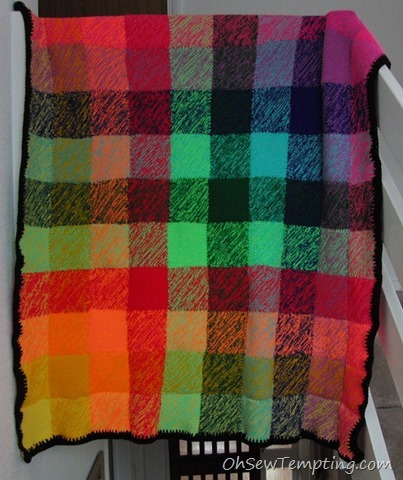 You may recall the knitted blanket I finished recently, the brightly coloured squares one. 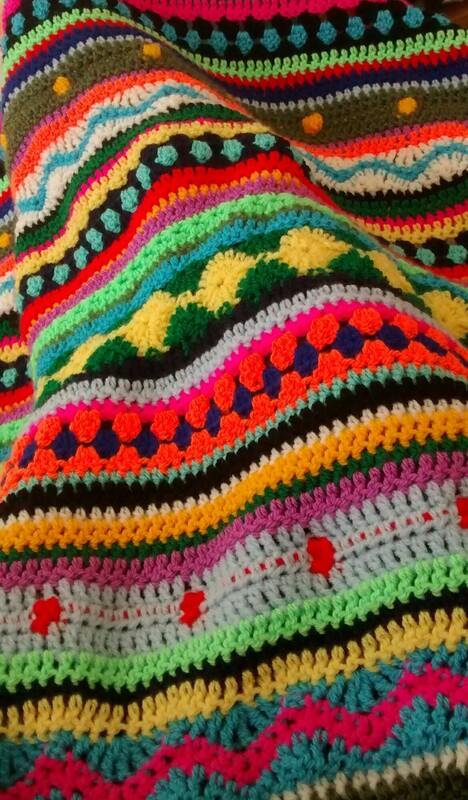 Well, would you believe I could make an even brighter blanket? 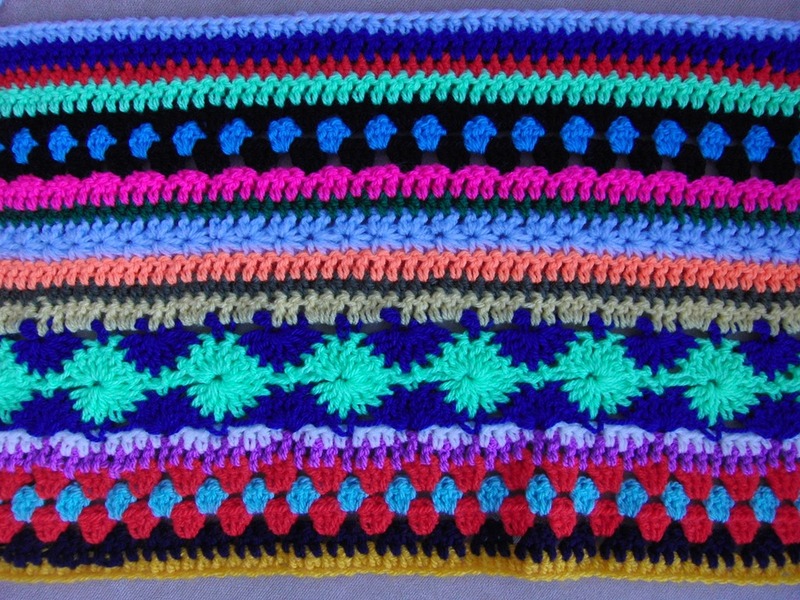 I had quite a lot of scraps of all the different colours from the knitted blanket as you can see here. My other half exclaimed “You call those scraps?”. Well, any bits and bobs that are left over from previous projects and not bought specifically for a particular item are “scraps” in my eyes. 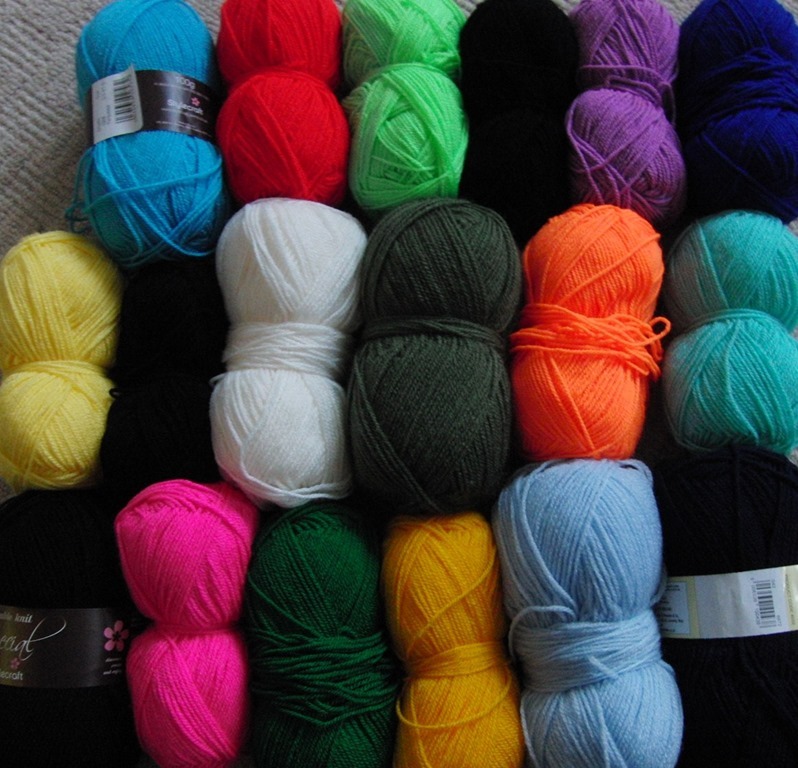 There’s about 1200g of Double Knit yarn here. 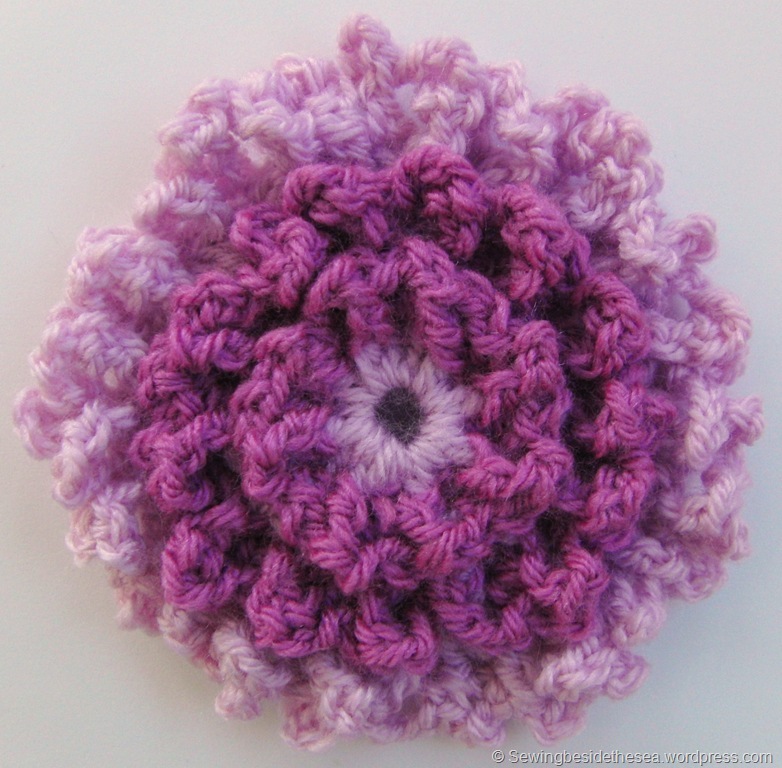 I did add a couple of balls from my old scrap bag to make up the weight that I needed to make this lovely free pattern from the Not your Average Crochet blog. 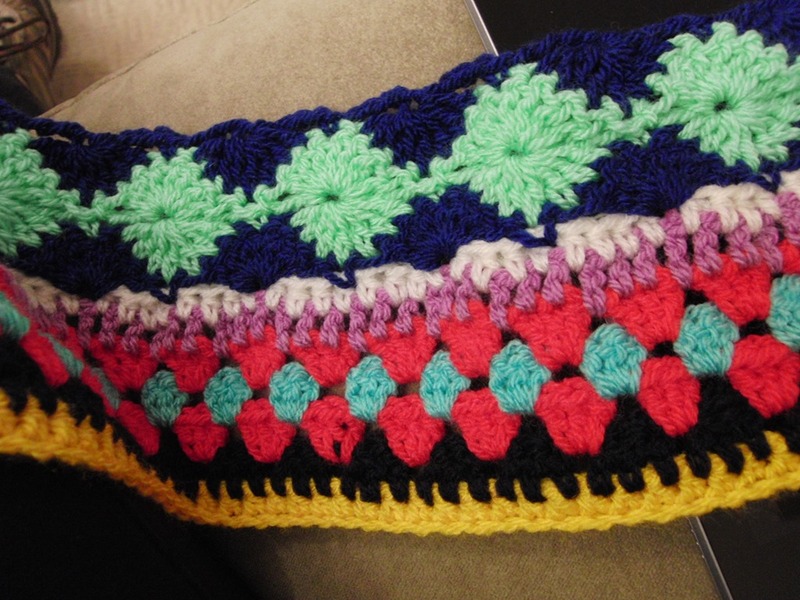 The pattern was originally run as a Crochet Along but I missed that opportunity ages ago. It has loads of close up photographs and is a dream to follow. I have never done many of these stitches before so I’m learning a lot . Some of my photos were taken in poor electric light and are just provided to give you an idea of my progress. I’ve just taken the final photo in daylight which gives a much better idea of the colours but it still isn’t as brightly coloured as in real life. Have you got your sunglasses ready? Be warned. It was easy to begin with. 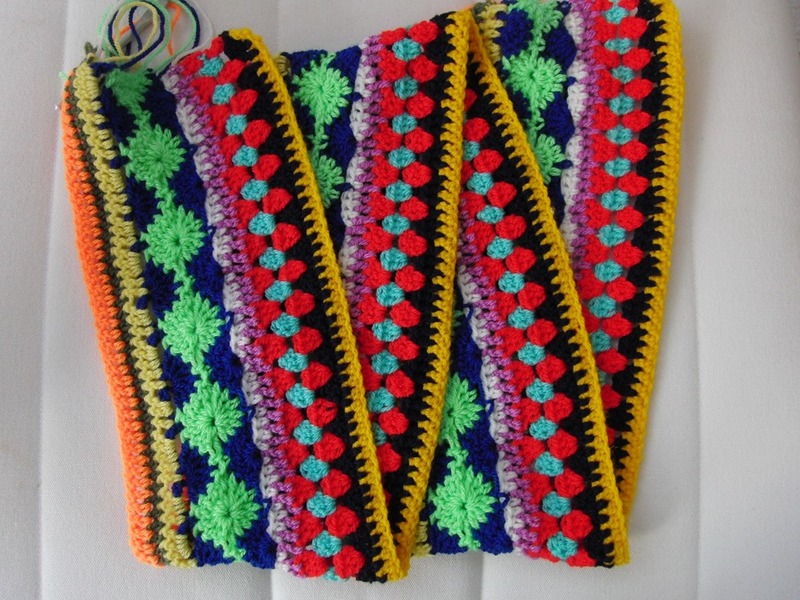 Just make sure the starting chain has the correct number of stitches. 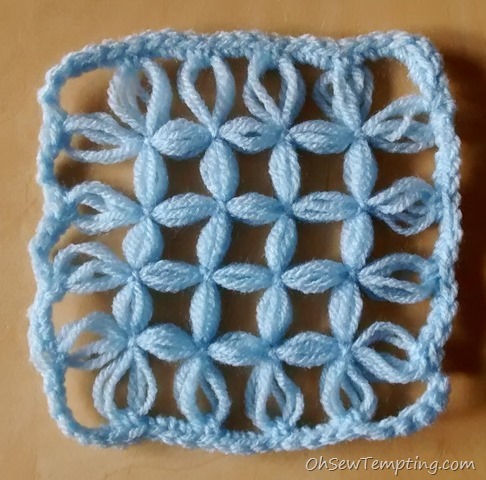 More easy bits including the star stitches in pale blue. This photo has gone very blue on its own! Here is where I’m up to now. 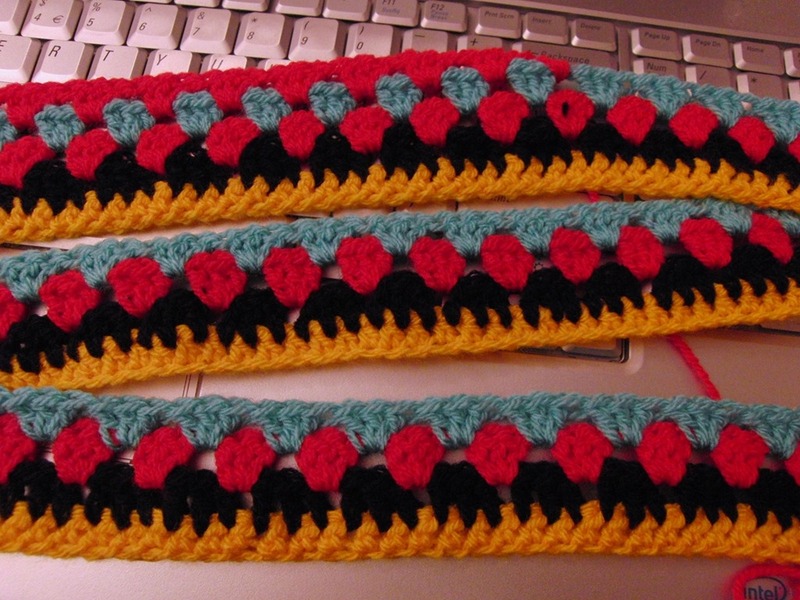 It’ll be about 52 inches long and I’ll keep going adding more rows until I run out of scraps. 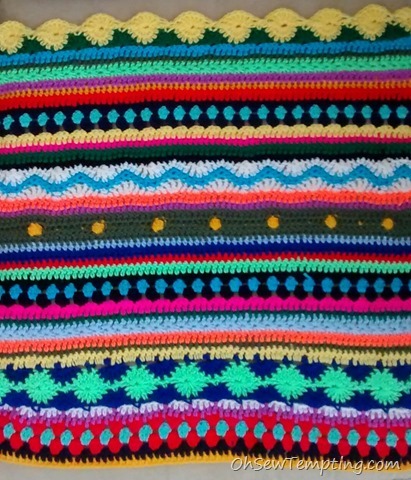 I’m already looking for the next woolly project but won’t start anything else until this one is done. It could take a while . 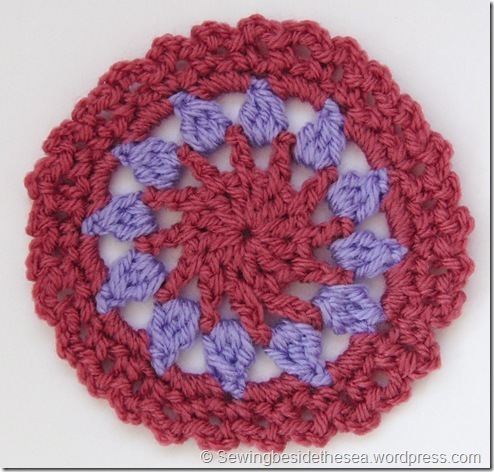 Here is my version of motif #10 from the book I mentioned in this earlier post. I hope you like it. 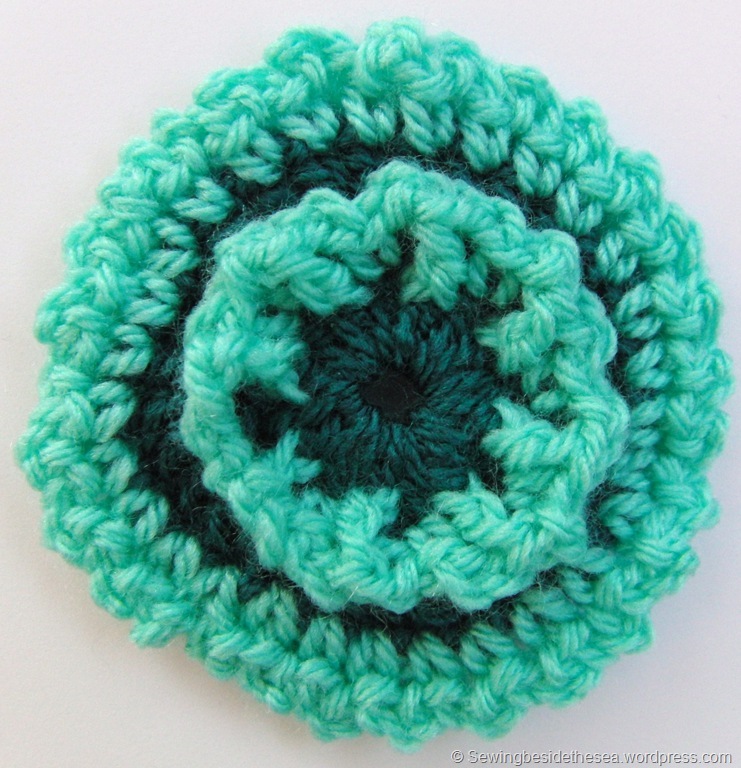 Here is my version of motif #9 from the book I mentioned in this earlier post. I hope you like it. 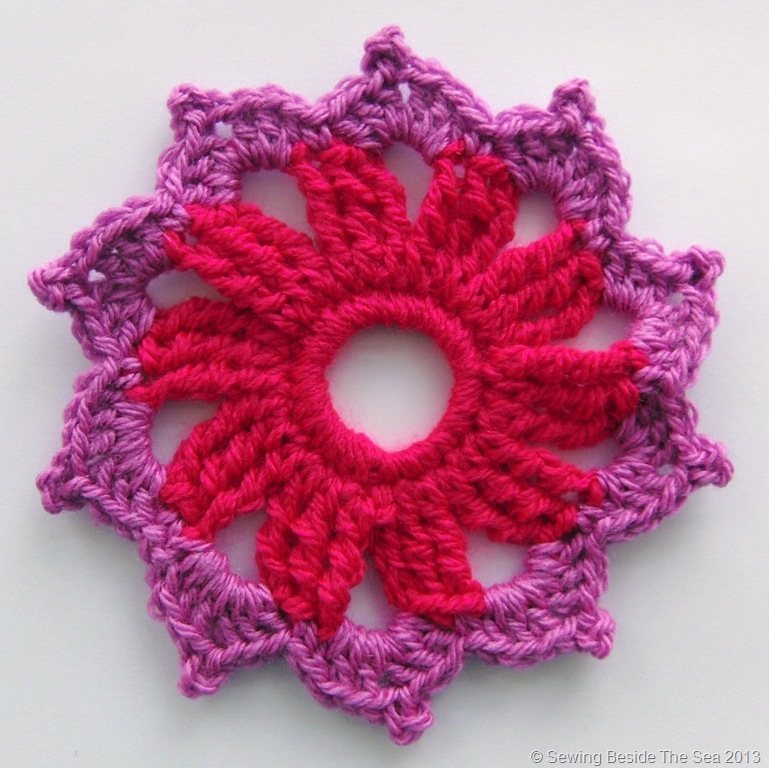 Here is my version of motif #8 from the book I mentioned in this earlier post. I hope you like it.